Isolezwe, the Kwazulu-Natal based modern isiZulu language newspaper that champions the reading needs of its audience, has bucked the print industry trend over the past 5 years by showing consistent growth. With the latest audited circulation figures at 110,000, Isolezwe wanted to reward and engage their loyal audience while aiming to increase their circulation even further. How does a vernacular daily newspaper grow its circulation in a world where print is challenged by digital? 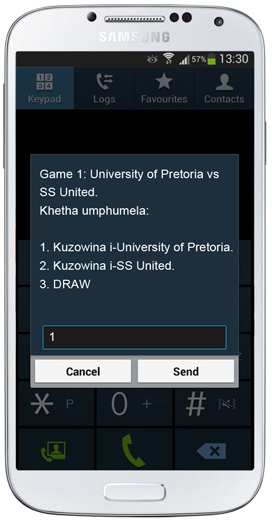 Isolezwe introduced an element of mobile gamification of the Premier Soccer League to their audience, with the aim of creating sustained mobile engagement over a period of 7 months. 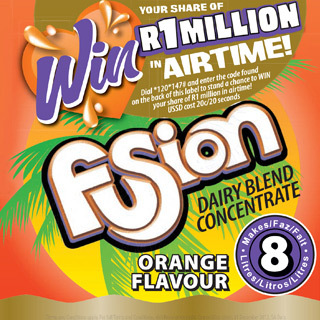 Research on past promotional campaigns indicated that basic and feature phones dominated Isolezwe’s audience, with phones such as the Samsung E250 and Nokia Asha prevailing. This tied in with industry research estimating that only 48% of South African adults own a data connected mobile phone. 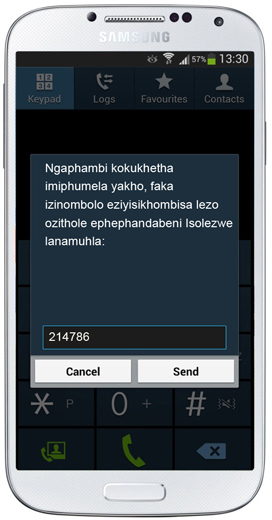 As such, the campaign was run over USSD which works on all mobile phones and is very familiar to Isolezwe’s target audience who use USSD to re-charge airtime and to send “Please Call Me” SMS. 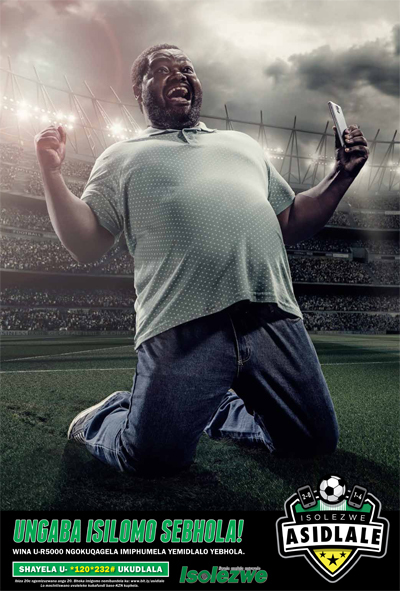 All scheduled Premier Soccer League games with dates and times were imported into the AAT Mobile Platform along with unique codes to be printed on each daily newspaper. With the data in place the system automatically followed the flow of the PSL Season, opening and closing the competition time zones and reporting on all entries. 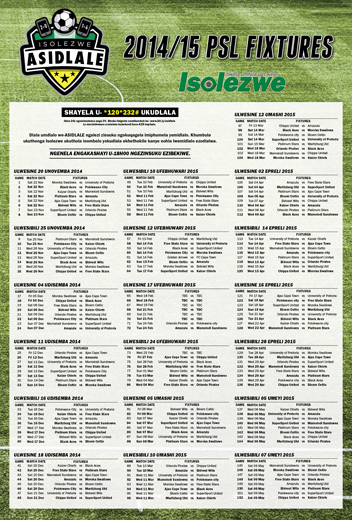 In November 2014 Isolezwe introduced the Asidlale competition to their readers which ran in conjunction with the Premier Soccer League through to May 2015. 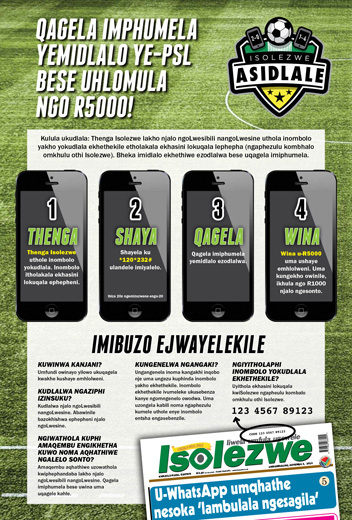 Bringing an element of gamification to life, readers could purchase a Tuesday or Thursday daily and enter the Asidlale competition with the unique code printed on each newspaper. 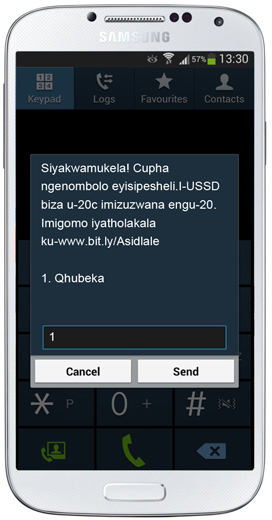 With a copy of Isolezwe purchased, entrants would simply dial the advertised USSD number and enter their unique code. Once proof of purchase was confirmed in real time, they could make quick predictions for each of the 8 games scheduled for the following day. Predictions were kept simple with the choices being “Team A Win”, “Team B win” or “draw”. Each round had a prize of R5, 000 for anyone who accurately predicted the results of all 8 games. 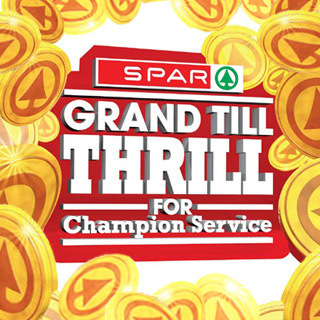 In cases of no winners, R2, 000 was carried over to the next round. 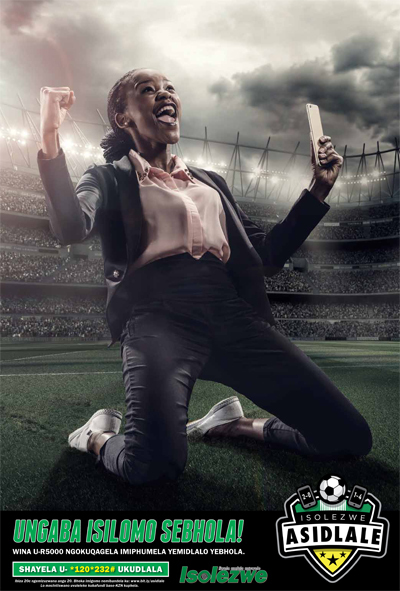 The Asidlale completion enjoyed 160,000 interactions over USSD with 61,000 successful predictions cast by 41,000 unique entrants. This in turn drove sales to increase by 4,000 – 4,500 copies per pool day, which is 4% of their latest audited circulation figure. 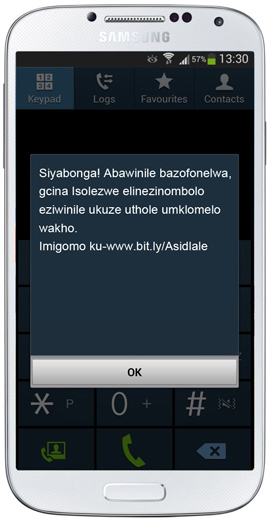 Linking print experience to mobile is now an on-going priority for Isolezwe who plan to treat their audience to Asidlale in the upcoming PSL season as well as on their newly launched isiXhosa newspaper in the Eastern Cape called I’solezwe lesiXhosa.